For a business specializing in selling goods to thrive in this day and age, having an online presence is a must. With more and more people spending their time online to buy the things they need, it’s important for any e-commerce company to provide its clients with a way to get their products at once. However, not all companies have the personnel or technical know-how to set up their own website. This is true for small businesses, start-ups or even the local stores near your surrounding area. That’s something that Websitebuilder.com aims to address by providing businesses with reasonable web hosting packages combined with easy-to-use online tools to help them set-up shop online. Web Building Tools – When a company offers web hosting services, chances are they’re offering you just that. This isn’t the case with SiteBuilder.com. Not only does SiteBuilder.com provide you the space to host your website, they also provide you with the tools to set it up. It has a clean control panel that displays all the tools you need right off the bat. It uses a unique process called “stacking Sections” which lets you put sections on top or beside each other. The beauty about this is that you just have to move your sections of content in place and you’re good to go. This set-up not only makes page creation easy, it also lets you come up with layout that’s both spacious and clean, similar to how today’s picture-dependent websites are. 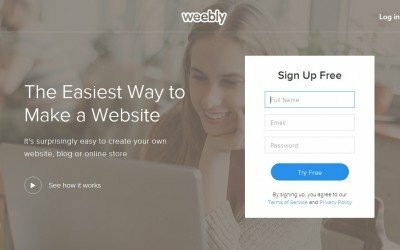 Just like they advertise on their website, SiteBuilder.com offers a quick and easy website creation process. You start things off by choosing a template for your site. Once you’ve selected your site’s template, the next step is to edit the template and create your web pages. Finally, once you’ve customized your web template, you can publish your website – all with just the click of a button. E-commerce Integration – With SiteBuilder.com’s e-commerce integration feature, businesses that specialize in selling goods will have a way to set up their very own online store with ease. This is made possible by integrating Ecwid – a third-party e-commerce solution – with your website. Ecwid has made a name for itself through its ease of integration with a variety of platforms including popular ones such as Drupal, Joomla, WordPress, MODX and Concrete 5. It can also be easily integrated into any of SiteBuilder.com’s templates using its online editor. Once the integration with Ecwid is made, you’ll be given the option to create a new page for your store, integrate it into an existing page or make it your default homepage. 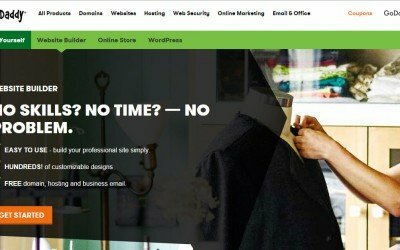 Management and maintenance of your online store can also be done the moment Ecwid is fully integrated with your SiteBuilder.com template. 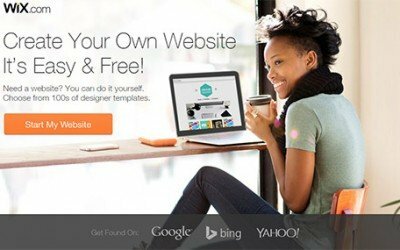 Over 10,000 Web Templates – SiteBuilder.com knows how challenging creating a website can be so to make it easier for clients to set one up, they’ve come up with over 10,000 web templates that you can choose and apply to your website. All you have to do is to pick one that’s based on the design you’re looking for and it will be automatically applied to your website. To help make selection quick and easy, SiteBuilder.com has organized its web templates by industry. Categories include business, blogs, music, wedding and restaurants. This makes it easy for you to find a ready-to-use template that will match your business. These designs are also customizable giving you the freedom to change the way the template looks. Multiple Hosting Package Options – WebsiteBuilde.com provides multiple web hosting packages that customers can select based on their hosting requirements. Hosting packages start of with the Personal package priced at $8.95 a month, followed by the company’s most popular package – the Premium package priced at $7.95 a month. 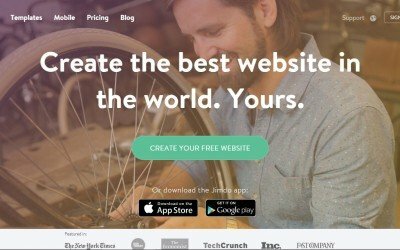 The Business and eCommerce package – priced at $9.95 a month and $17.95 a month respectively – round up SiteBuilder.com’s packages. Each package offers the tools you need to build your website along with a number of free services. All packages come with a free domain, hosting and ad credits. Things start to pick with the Premium package since aside from the freebies mentioned above, Premium clients will be given the tools to design a mobile-friendly website. Clients also get help in terms of SEO and marketing to improve their online presence. The Business package offers all of the above-mentioned benefits but you also get free email and become part of SiteBuilder.com’s Priority Support list. Lastly, the eCommerce package provides all the features found in all three packages plus the ability to set up your own online store through eCommerce integration with Ecwid. Various Contact and Support Systems – Unlike other web hosting companies that limit you to a hotline number and email support, SiteBuilder.com provides more than those two options by giving its customers numerous support options to address their concerns. SiteBuilder.com offers a knowledge base section that focus on providing technical and billing support. Both sections list a number of frequently asked questions along with their corresponding answer. They also have how-to guides that offer tutorials and walk-through which customers can follow. E-mail and customer contact support is also provided in the event you can’t find the answer you’re looking for in their knowledgebase section. Both are available 24/7 every day so customers are assured of getting timely response regarding their concerns. Blog Set-Up – Although most companies look at blogs as a medium solely for writer, it’s actually a great way to keep customers abreast of the latest company updates and promotions. This is something Websitebuilder.com recognizes which is why it created a user-friendly blog feature. The blog feature can be accessed by clicking the “Blog” button found in your control panel. It works just like the other blog services such as WordPress or Blogger. To start, simply select the “Create a New Post” button and you’ll be able to access the blog editor. All the information you need to set up the blog entry is displayed in the editor including the date, time, author name, and tags. The blog also provides an array of editing tools as well as the ability to set your blog posts as Featured and Pinned. Host of Free Features – Customers get off to a good start once they sign up with SiteBuilder.com. Aside from securing a quality web hosting service, they also get an array of free features such as having a free domain name, business email and search engine optimization tools. Not only will customers get to save on paying for their website’s name and their business email, they also get SEO tools that can boost their site’s ranking and help drive in traffic. User-Friendly Interface – Unlike other web hosting companies, SiteBuilder.com gives customers an easy way to set up their website. They just choose a pre-formatted template, create the web pages and then upload it online. Web page creation is also made easy thanks to SiteBuilder.com’s unique stacking Sections feature which allows you to put content in specific sections. Mobile–Friendly – The website of today needs to accessible not just in your desktop but also through your mobile devices. While others have to resorted to hard coding or hiring developers just make their website mobile, SiteBuilder.com eliminates these hassles by making sure that your finished website is designed mobile-friendly. This is made possible through their custom templates. Whatever template you select for your website, you’re assured that the finished product will be viewable both in a desktop and mobile device. Unlimited Bandwidth – Fast and consistent loading time won’t be an issue when you sign up with SiteBuilder.com since its web hosting packages offer unlimited bandwidth. As a result, you’re guaranteed that your site’s images and content will be able to load faster for your customers to view. From its Personal plan to its high-end E-commerce plan, your assured that downtime won’t be an issue once your website is up and running. Image Library – Copyright has always been an issue when it comes to using images so to help its customers avoid dealing with copyright infringement, SiteBuilder.com provides a wide selection of pre-uploaded images for free. These images are ready to use and are of high quality to ensure that they come off as clear and crisp as possible once embedded into the site. The images can also be edited through SiteBuilder.com’s content management system to suit your needs. No Unique Offering – Most companies will come up with some feature that its competitors don’t have and use that as their main selling point. Sadly, SiteBuilder.com doesn’t have that unique feature. While it’s able to offer a variety of features from its blog to its pre-formatted mobile-ready templates, most web hosting companies have one or two of the said features as part of their package. As a result, there’s a huge possibility for SiteBuilder.com to be overlooked by people because of this. SiteBuilder.com’s control panel is able to put in a wide range of tools without compromising ease of use. This was done by providing a structured and intuitive panel that makes navigating simple and quick for users. One feature of the control panel that stands out is its content editor. Using a basic Drag & Drop system when it comes to creating web pages, users simply have to move the text, icons, buttons or images to the section where they want it to be displayed and drop it there. This takes away the hassle of having to hard code your website using HTML and CSS. The content editor also offers image editing which eliminates the need to use an external image editing software just to edit images. Characteristics that can be adjusted using this editing tool include the picture’s border, alignment, opacity and overlay. It even has a feature called “Save History” which allows you to go back to any of the pages you’ve created via the control panel. SiteBuilder.com’s control panel also gives you the capability to toggle from desktop to mobile editor. This makes creating and editing mobile sites easy since you’ll be able to see the content as they appear when viewed on a mobile device. 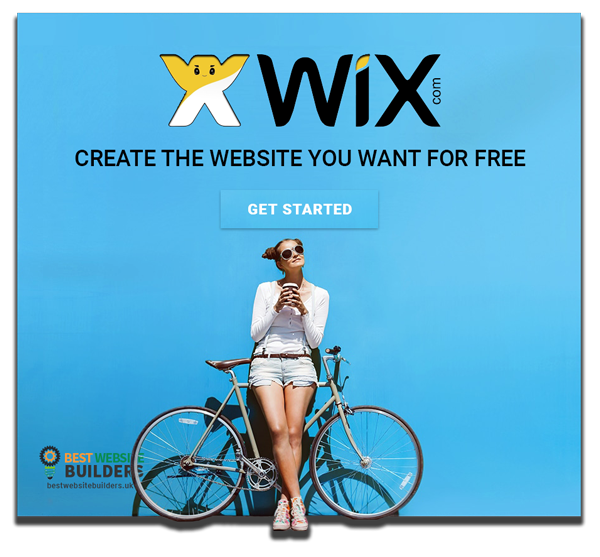 The Wix website builder has become incredibly well known over the last years that are few. If building a beautiful and interactive website is a priority for you to consider for you, Wix is the perfect website builder candidate.